This program is designed to address education, in particular, literacy. 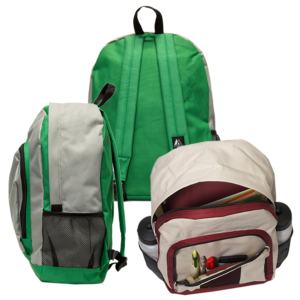 We provide backpacks filled with all the school supplies needed for kids in grades K-12 to start off the new school year. We also offer haircuts, a hot meal, and an opportunity for kids and their family members to meet and talk with community leaders and role models that are in the field of education or strong advocates for education. We are focusing our attention not only in the Pine Street community, but also throughout Faulkner County to help those that are less fortunate. The reason Pine Street has been the center of our focus over the past eight years is because the organization was founded by residents of that community and it is a major area of Conway that is highly distressed both physically and economically. Aside from the backpack program, PSCDC also offers a food bank service. In 2008 the Back Pack Program was expanded in order to reach more families not only in the Pine Street community but also in the city of Conway and Faulkner County. 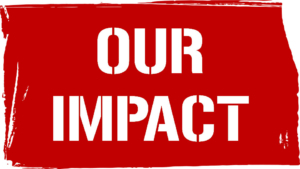 Over the past eight years our resources have grown from raising over $5,000 in cash and in-kind donations in one school year to raising over $20,000 in cash and in-kind donations in another school year. Those resources took the program from serving 300 kids in 2008 to serving 1,000 kids every year starting in 2012. Over that span of time and with the resources we have had the Backpack Program has served more than 6,250 kids. This year’s program is scheduled to take place on Saturday, August 11, 2018 at the Educational Wing of the Pleasant Branch Baptist Church in Conway’s Pine Street community. Hot meals will be prepared and served on-site to all of the participants and their families. Boys who have pre-registered for school supplies will also have an opportunity to get a free haircut. Community leaders, school officials, businesses, and other organizations will be on hand to either stuff backpacks, distribute backpacks, register kids for backpacks, cook and serve, clean-up or set-up. Over the years we have had an enormous amount of help from our community averaging about 50+ volunteers each event to ensure the program’s success. Pre-registration dates for 2018 will beg Saturday, July 21st and Saturday, July 28th from 10am to 12pm. Backpacks will be distributed on Saturday August 11th from 9am-1pm. Each child is required to pre-register in order to ensure they receive their school supplies. Parents are not asked to provide income information in order to qualify for assistance. Registration information is maintained in a database and addresses are deemed helpful in determining if the low income areas in Faulkner County are being served. Since 2008 the PSCDC has provided backpacks filled with school supplies to over 6,250 kids. In addition, because of the overwhelming amount of support this program has received from the community over the past eight years, school supplies and backpacks have been disseminated to school counselors in order to reach out to more kids in need. We have provided school supplies to elementary schools that have the greatest need according to the percentage of kids who receive free and/or reduced meals. The schools that have been recipients of what our program has to offer are Theodore Jones Elementary, Florence Mattison Elementary, and Ida Burns Elementary. We have also in the past assisted Make a Child Smile (a nonprofit organization in our community that addresses similar needs) and H.O.P.E. preschool (a free of charge preschool for low income families). In addition to providing kids with school supplies, our goal is to relieve some of the economic burden that parents and guardians face when preparing their children for the new school year. 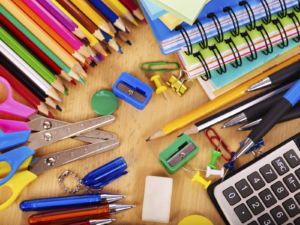 A poll was taken a few years ago by the National Retail Federation that revealed the average American family spent over $600 on back-to-school shopping. That includes, clothing, shoes, school supplies, and basic electronic needs. Out of that total school supplies alone averaged nearly $100 per family.